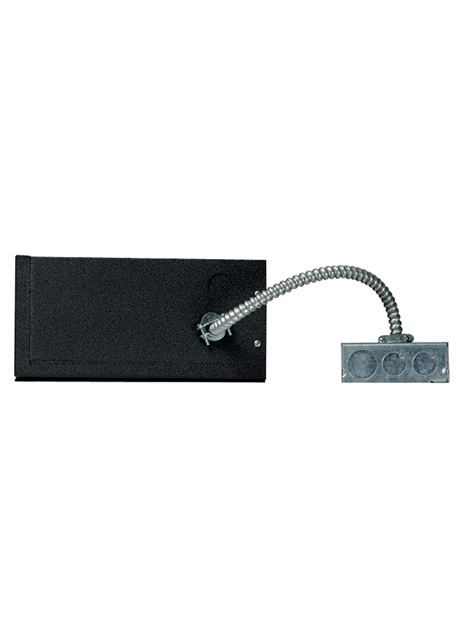 This remote electronic transformer converts standard 120 volt line-voltage to 12 volts, providing the necessary voltage for powering a MonoRail, Kable Lite, Wall MonoRail or FreeJack low-voltage lighting system. This remote electronic transformer can be used to power lamps totaling up to 300 watts. This transformer is equipped with fast-acting short circuit and overload protection that will safely turn off the system should a short occur. Once the short is removed, the unit can be reset by simply flipping the wall switch off and back on.